For the premium audio system (without navigation), first check driver's side interior Fuse 18 (7.5A) and passenger side Fuse 15 (20A). 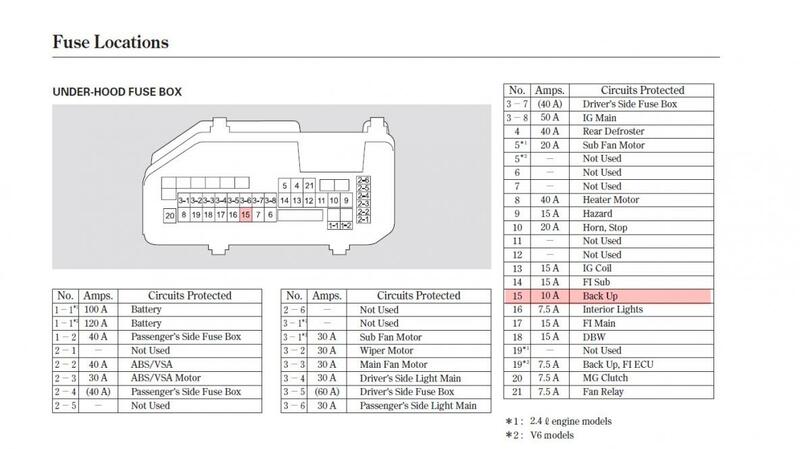 For normal audio system, first check driver's side interior Fuse 18 (7.5A) and driver's side Fuse 16 (7.5A). That is what it shows in the electrical circuit diagrams. This is what I do when troubleshooting electrical issues. A visual inspection is not as useful as measuring voltage at the fuses. Measure on both sides (both metal tabs) while inserted (as Neo mentions). if there is voltage on one side but not the other - the fuse is blown. if there is no voltage then maybe it's assigned to something not in use or the problem is up-stream. DMM = Digital Multi Meter. bummer on the issues. one thing that Honda requires to hit 300k-400k miles is rigorous maintenance per the schedules in the manual. that includes all fluids (power steering, brake, coolant, oil, transmission). i also avoid Ethanol-based fuels. don't pull fuses to check them, measure them in-place as described above. Last edited by keep_hope_alive; 04-03-2014 at 09:40 PM. 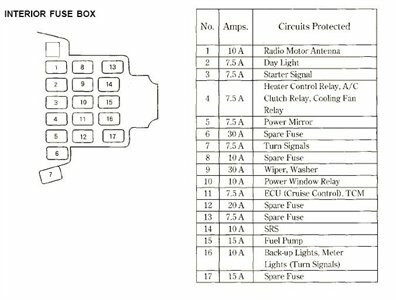 For the Accord's with the normal audio unit, fuses first checked are driver's side interior Fuse 18 (7.5A) and driver's side Fuse 16 (7.5A). Driver's side Fuse 16 protects more than just the A/C. The owner's manual won't have as much detail as a service manual. If the interior fuses are both good, then check under-hood fuse 15 (10A).